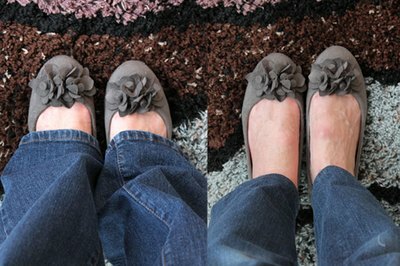 Straight-legged or boot-cut jeans hide most of your shoes and have a tendency to fray on the bottom. Skinny jeans, on the other hand, show off all types of footwear. From flats, heels and wedges to sandals, pumps and boots, show off your beautiful shoe collection by changing your regular jeans into skinny jeans. Put the jeans on and have a friend pin the new hemline. 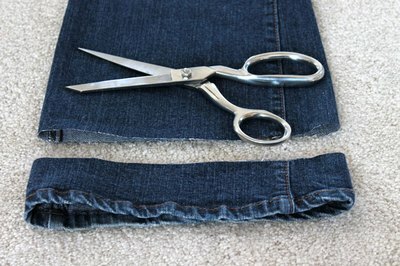 Remove the jeans and add 1 inch to the new hemline to allow for the hem. Mark this new line with chalk and cut with sharp scissors. Put the jeans on inside out. Stand on a chair and have a friend pin the new seam along both sides of each leg. Taper the seam down the leg so that it's narrowest at the ankle. 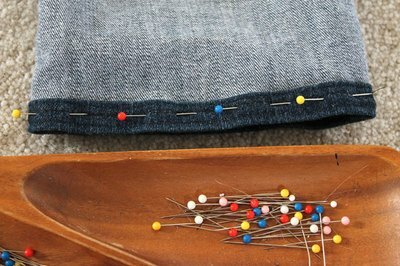 Be sure your friend pins the new seams with a little ease so you can take the jeans off easily. 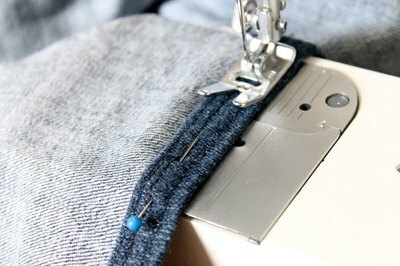 If your regular jeans are already fitted through the thigh and your new seam will start below the thigh, start the new seam within the existing seam and gradually taper the new seam down the leg. Remove the jeans. You can mark along the pin line with chalk, or you can leave the pins in to sew the new seams. Set your machine's pressure regulator for thick fabric. 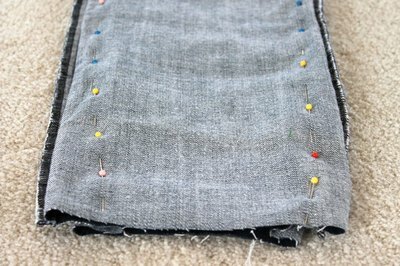 Start at the top of the pin line, and sew along the line with a medium stitch length using a universal denim 100/16 needle. Remove the pins as you sew. Trim the new seam to a 1/2-inch seam allowance. Press under 1/2 inch on the bottom of each leg with a hot iron, and then press under another 1/2 inch. Pin in place. 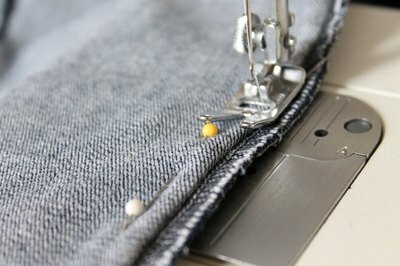 Sew the new hem, removing the pins as you sew. If you'd like the stitching to show, use contrasting thread. Use matching thread if you don't want the stitching to show. 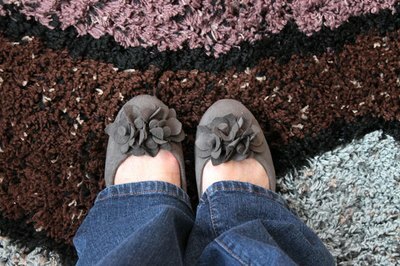 Now let your footwear take center stage as you slip into your new skinny jeans.